What does Pokemon have to do with looking for freedom from weight loss struggle and fatigue? I lost my iPhone to my 8 year old son a few days ago when he decided to join the Pokemon search squad. 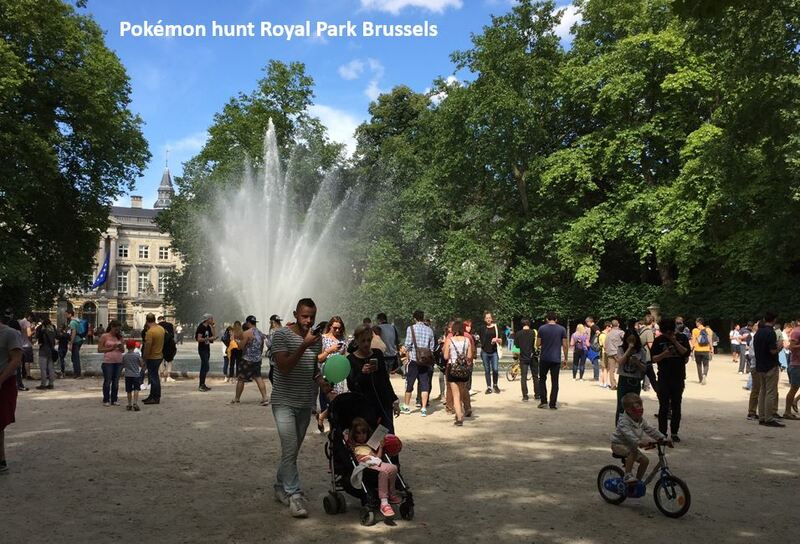 We live in a small town outside Brussels and the number of Pokemons hanging out here is limited. He used all his charm to persuade me to take him to the Royal Park which is supposed to be crowded with Pokemons. I thought while he’s hunting for Pokemons, I can look for women who are more interested in finding freedom from weight loss struggle and fatigue, so we had a deal. When we got to the park, I thought we were some place in the future. For me, who is pretty much oblivious to this entire movement, the park was crowded with what seemed hundreds of people staring at their phones, looking lost and moving in weird patterns. I felt like an estranged observer of a group of people who were alone together. My son loved it, he caught lots of new Pokemons and advanced two levels, woohoo! I wasn’t very successful with finding the women I was looking for. This is either because they are simply not part of the Pokemon search squad or because I was more busy making sure not to lose my kids in the unpredictable movements of masses of people. Now I’m appealing for your help in finding women who couldn’t care less about Pokemon if they could find freedom from weight loss struggle and fatigue. Maybe one of these women is one of your friends, your sister or a colleague. To be able to identify her, here are some typical characteristics you need to be looking for. If you know her, please share this with her or your social networks for her to find it. She can give me her contact details below. I will be contacting her with information on an event where she can share her challenges, ask her questions and get to know others who have the same problems. This can be anything from not understanding why losing weight seems impossible, not getting the right testing or conclusive information from a doctor, being confused about what to eat or what exercise could be helpful to feeling overwhelmed, alone and hopeless. What do I have to do with all of this? I will be there to listen closely, because I care. I have been there myself. As women and especially mothers, we expect so much from ourselves. We are the engine of the family and at the same time want to excel at work. Today’s fast pace of life, stress, not enough exercise, lack of vitamins and minerals as well as environmental factors are dimming our life energy, our light that’s shining from within. Imagine a candle in a wind shield glass, when the glass gets dirty, the light gets dimmed too. It’s my mission to help clean the glass, so that the light can shine as bright as it’s meant to be. At the planned event we’ll find out what exactly we need to achieve that.